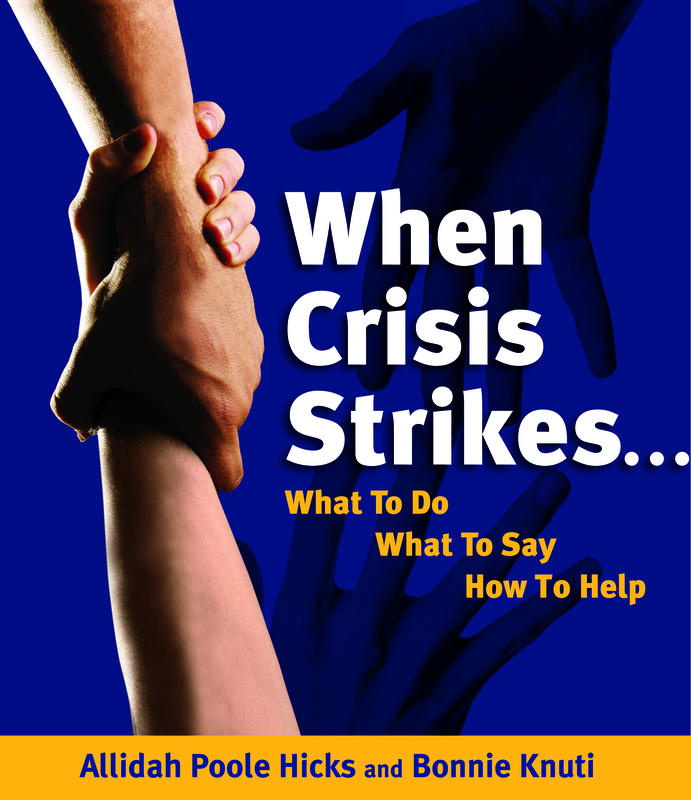 CIPA members and authors Allidah Poole Hicks and Bonnie Knuti are delighted to announce that their book, the EVVY Award-winning When Crisis Strikes…What To Do, What To Say, How To Help is an award-winning finalist in the USA “Best Books 2011” Awards in the Health: General category. USABookNews.com, the premiere online magazine and review website for mainstream and independent publishing houses, announced the winners and finalists of THE USA “BEST BOOKS 2011” AWARDS on November 1, 2011. Over 500 winners and finalists were announced in over 140 categories covering print, e-books and audio books. Awards were presented for titles published in 2010 and 2011. Jeffrey Keen, President and CEO of USA Book News, said this year’s contest yielded an unprecedented number of entries, which were then narrowed down to over 500 winners and finalists. When Crisis Strikes…What To Do, What To Say, How To Help received three 2011 EVVY Awards including the Past President’s Award for the entry with the highest score of all entries, 1st place in the How-To category, and 3rd place in Layout and Design. For more information go to www.WhenCrisisStrikes.com. Allidah and Bonnie can be contacted at whencrisisstrikes@gmail.com or at 303-420-2591.